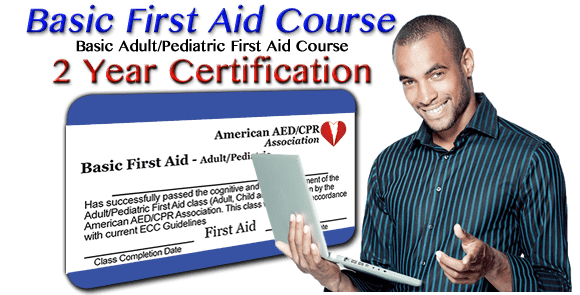 Your first aid kit should include personal protective equipment (PPE) such as disposable gloves and goggles. These help to keep you safe from blood, saliva, and urine. Some people have allergic reactions to latex, so non-latex gloves should be used if possible. Wear personal protective equipment whenever necessary. Protective gloves are to be used whenever you give first aid. Eye protection should be worn if the ill or injured person is bleeding. After removing your gloves, wash your hands thoroughly with soap and water for at least 20 seconds. You should wear PPE whenever you can. In the event that the person’s blood makes contact with your skin, or splashes in your mouth or eyes, follow these steps. In addition to wearing protective gloves, you will also need to know how to remove them, in order to protect yourself and others from potential infection. Disposing of protective gloves properly is an important step. 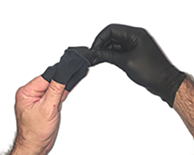 ● Grip one glove on the outside near the cuff, and peel it down until it comes off inside out. ● Cup it with your other gloved hand. ● Place 2 fingers of your bare hand inside the cuff of the glove that is still on your other hand. ● Peel that glove off so that it comes off inside out with the first glove inside it. ● If blood or blood-containing material is on the gloves, put the gloves in a biohazard waste bag if you have one, or sealable plastic bag before disposing of it. ● Wash your hands thoroughly. Wearing gloves is not enough. It’s still important that you wash your hands, just to be sure. It is one of the most important protections you have against infection. Sometimes you won’t be able to wash your hands immediately. In these cases, you should use a waterless hand sanitizer. Rub it into your hands, thoroughly, before letting them air dry. You should properly wash your hands with soap and water as soon as you can.